Though known primarily as a satirist and propagandist, William Hogarth was also a superb portraitist due to his frank yet sympathetic approach to his subjects. Daniel Lock was the architect of the Foundling Hospital in London, an institution to which Hogarth directed a significant amount of his own resources and talents as one of the original founders and as the artist for the hospital. In addition to their work on the Foundling Hospital, Hogarth may have known Lock through the Free Society of Artists (F. S. A. ), of which both men were members. 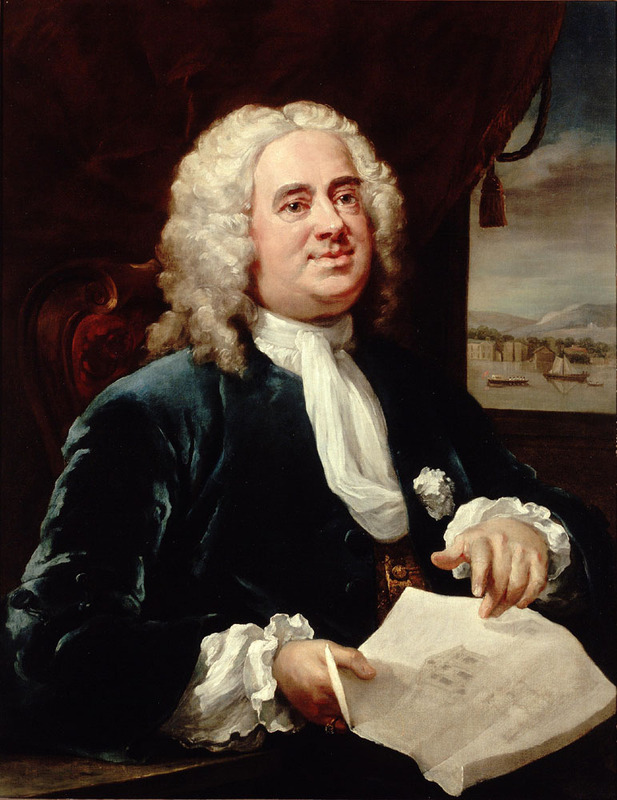 Daniel Lock was also the founder of Lock Hospital and is depicted here by Hogarth as holding the plans for that institution. The painting has an illustrious history, having been for many years in prominent English collections, including that of the Spencer-Churchill family and the family of Lord Northwick. William Hogarth was largely responsible for ushering in a truly English style of painting. Previously, England had imported painters from the Continent, such as Holbein, Rubens, and Van Dyck. Throughout his career, Hogarth tried to break the English dependence on outside artists by offering his own work as an alternative; by doing so, he encouraged native artists to pursue careers in painting, thereby creating a “renaissance” in English art.